Academic researchers work on problems they believe to be interesting and then publish their results. Particularly good researchers listen carefully to industry problems to find real problems, produce relevant work and then publish the results. True giants of academia listen carefully to find real problems, produce relevant results, build real systems that actually work, and then publish the results. The most common mistake in academic research is choosing the wrong problem to solve. Those that spend time with practitioners and listen to the problems they face, produce much more relevant results. Even more important and much more time consuming, those that build real systems have to understand the problems at an even deeper level and have to find solutions that are practical, can actually be implemented by mortals, and aren’t exponential in computational complexity. It’s much harder and significantly more time consuming to build real implementations but running systems are where real solutions are proven. My favorite researchers are both good listeners and great builders. 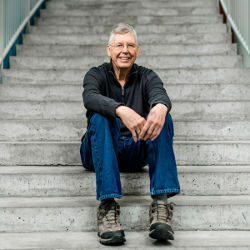 Michael Stonebraker takes it a step further. He builds entire companies on the basis of the systems research he’s done. We’ve all been through the experience of having a great idea where “nobody will listen”. Perhaps people you work with think they tried it back in 1966 and it was a failure. Perhaps some senior engineer has declared that is the wrong approach. Perhaps people just haven’t taken the time to understand the solution well enough to understand the value. But, for whatever reason, there are times when industry or the company you work for doesn’t implement the idea even though you know it to be a good one and even after many papers were published with actual proof of the solution. It can be frustrating, and I’ve met people who end up a bit bitter from the process. In the database world, there was a period where the only way any good research idea could ever see the light of day was to convince one of the big three database companies to implement it. This group has millions of lines of difficult to maintain code written ten years ago and customers are paying them billions every year whether they implement your ideas or not. Unsurprisingly, this was a very incremental period where a lot of good ideas just didn’t see the light of day. Stonebraker lovingly calls this group of three innovation gatekeepers “the Elephants.” Rather than wasting time ranting and railing at the Elephants (although he did some of that as well), he just built successful companies that showed the ideas worked well enough that they actually could sell successfully against the elephants. Not only did he build companies but he also helped break the lock of the big three on database innovation and many database startups have subsequently flourished. We’re again going through a golden age of innovation in the database world. And, to a large part, this new period of innovation has been made possible by work Stonebraker did. To be sure, other factors like the emergence of cloud computing also played a significant part in making change possible. But, the approach of building real systems and then building real companies has helped unlock the entire industry. Stonebraker’s implementations of INGRES and Postgres demonstrated how to engineer database systems that support these concepts; he released these systems as open software, which allowed their widespread adoption and their code bases have been incorporated into many modern database systems. Since the pathbreaking work on INGRES and Postgres, Stonebraker has continued to be a thought leader in the database community and has had a number of other influential ideas including implementation techniques for column stores and scientific databases and for supporting on-line transaction processing and stream processing.